Georgia-based retirement plan consulting and advisory firm, Atlanta Retirement Partners, is pleased to announce that Bradley M. Towson has joined the firm as our Director of Wealth Management. Atlanta Retirement Partners is expanding to support pre-retirees as they face their transition into retirement, and Brad is an important component of that expansion. Georgia-based retirement plan consulting and advisory firm, Atlanta Retirement Partners, is pleased to announce that Bradley M. Towson has joined the firm as our Director of Wealth Management. Brad brings over 16 years’ experience serving the Atlanta marketplace in an advisory capacity and a remarkable level of dedication and customer focus. Brad joins as the firm from Morgan Stanley, where he served as Senior Vice President-Wealth Management, Corporate Retirement Director and Financial Advisor. Brad is a Chartered Retirement Plan Specialist with a degree in Finance from Valdosta State University. He is dual- registered as an investment advisor representative with the SEC and a broker with FINRA through LPL Financial. As a Corporate Retirement Director, Brad and his team worked on estate, financial and liability matters with business owners, family offices and HNW individuals to help reduce the uncertainty that can come from transitioning into retirement. 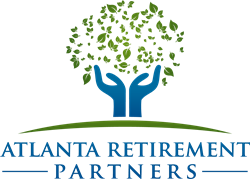 Atlanta Retirement Partners (ARP) serves more than fifty institutional retirement plans for various governmental, private and tax-exempt organizations. The firm’s service philosophy is that “people come first.” The success of an employee retirement program is measured by individual employee retirement outcomes. This focus, which permeates ARP’s approach, makes Brad an excellent addition to the team. Securities and Retirement Plan Consulting Program advisory services offered through LPL Financial, a Registered Investment Advisor, member FINRA/SIPC. Other advisory services offered through IFG Advisory, LLC, a separate entity.